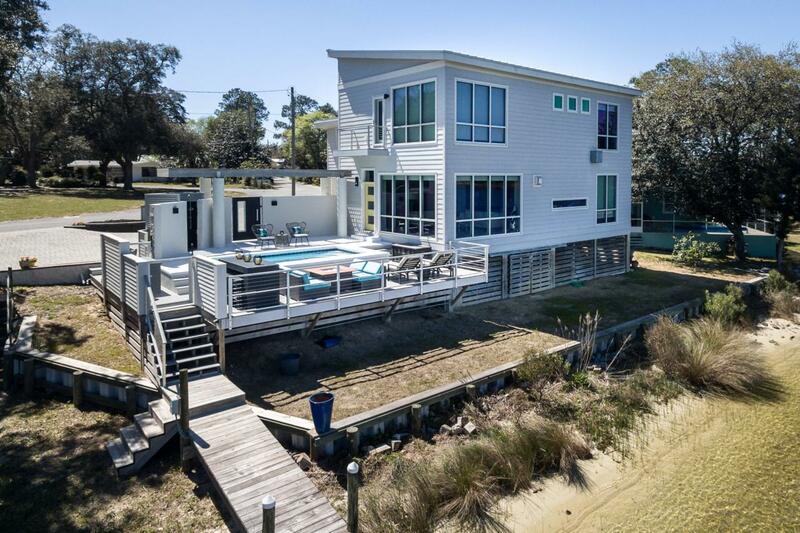 STUNNING custom-built waterfront home on 162' of the picturesque shore where Boggy Bayou and Toms Bayou meet in Valparaiso! This 2014 built home captures the magnificent sunrise and incredible moonrise over the bayou that will simply take your breath away. 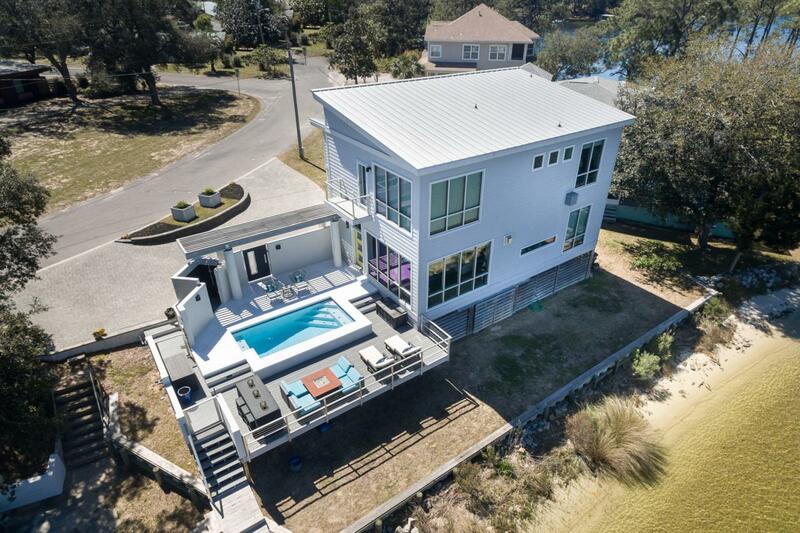 This home was designed to make you feel like you are on vacation at a luxury waterfront retreat offering amazing water views from EVERY room. In addition to living the carefree waterfront life you have been dreaming of, you will also enjoy watching boats cruise by as well as watching the annual 4th of July Niceville/Valparaiso fireworks show right from your own home. 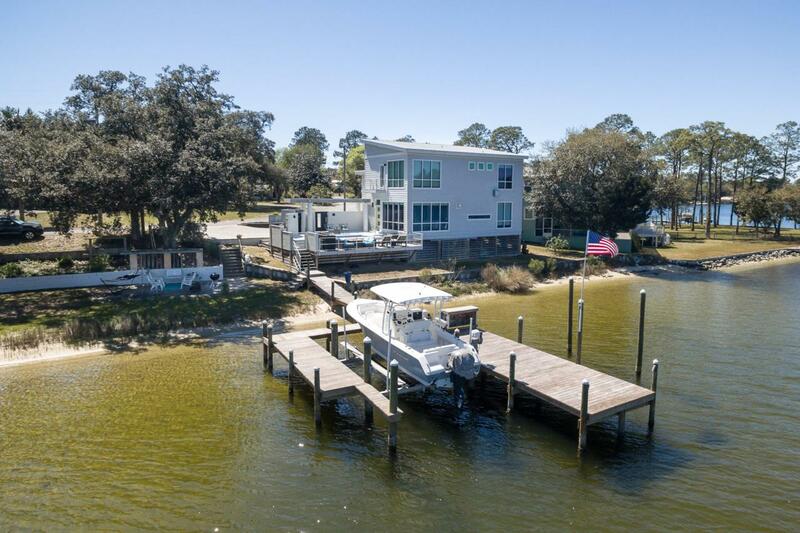 Whether you are an avid boater, fisherman or just want to enjoy the best waterfront lifestyle imaginable, you will find what you are looking for in this one-of-a-kind home.When you drive up to this home, you will appreciate the circular paver driveway that offers plenty of parking. Entering the charming gated courtyard, you will be captured by the view of the bayou across the sparkling pool and surrounding lanai area. Here you will find an area perfectly designed for entertaining while preserving your privacy! The salt water gunite pool is surrounded by a raised patio area and the trex deck overlooks the bayou and dock. There is also a convenient shower here for after you have gone for a swim or come back from being on your boat. The front door is located in the private courtyard and when you enter this home, your gaze will be drawn to the incredible floor to ceiling windows that capture the views perfectly. The open floorplan allows for luxurious, carefree Florida waterfront living. The living and dining areas are open to the gorgeous kitchen featuring Thermador professional grade stainless appliances, custom cabinets and beautiful granite counters. In addition to these living areas, you will also find another bedroom and a full bath downstairs. The custom designed floating staircase leads you upstairs to a cozy loft area separating the master bedroom and a third bedroom with a private bath. Both of these rooms have the same floor to ceiling windows that grace the downstairs. The master suite will pamper you with a HUGE walk in closet, a luxurious bath and a private balcony overlooking the courtyard and offering amazing bayou views. Back downstairs you will find a 2-car garage and plenty of storage underneath the house. The entertaining areas expand from the private courtyard pool to include the covered patio area along the shoreline that is the perfect place for an evening bar-b-q or a picnic lunch. The large deep water dock with a boatlift was refurbished in 2018 to include new capped pilings and decking. 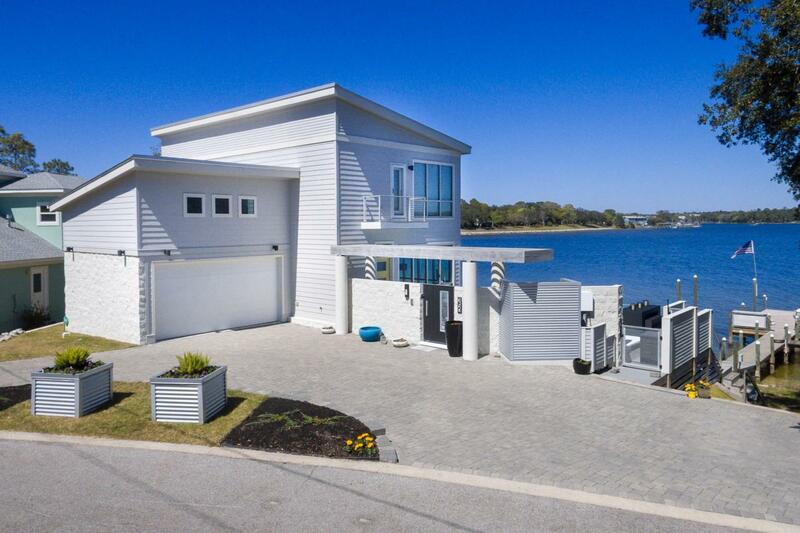 When the owners designed this home, they thought of EVERYTHING and NOW is your chance to enjoy the waterfront lifestyle of your dreams!